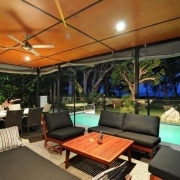 Bramston Beach Luxury House: Soak up the Tropical warmth of North Queensland at Bramston Beach. This luxury Three bedroom house is absolute beachfront in a peaceful beachside community 80 km south of Cairns. 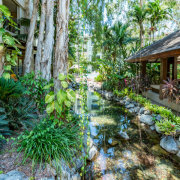 A nature lovers paradise, nearby attractions include Mount Bartle Frere -Queensland's highest mountain, the Babinda Boulders, Paronella Park, Josephine Falls and Eunbenangee Swamp National Park. 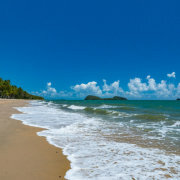 From here you can take a daytrip to the Frankland Islands, go White Water Rafting on the Tully River or Skydive onto the beach at Mission Beach or Etty Bay. Two bedroom pole home! 360 degree views! 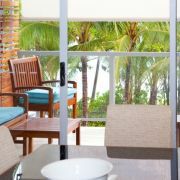 Boutique Collection Drift - Luxury Private Apartments at Palm Cove Situated on Palm Cove's esplanade, the stunning design of Drift Apartments incorporates themes of the beach and the lush tropical rainforest of Far Northern Queensland. 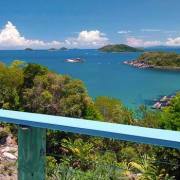 Experience the very best of luxury living in Far North Queensland and spoil yourself with your own private villa. This is no ordinary holiday home, this is a home combined with sheer breathtaking luxury. 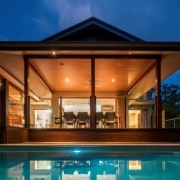 Architecturally designed, luxurious furnishings and designer fixtures and fittings will give your North Queensland holiday the ultimate 'WOW' factor. 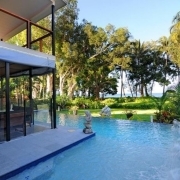 Palm Cove and Port Douglas spoil visitors with the choice of luxury villas, all situated in prime locations. Extra special touches such as designer toiletries, gourmet welcome packs, and luxury kitchen appliances add to the overall experience. Perfect for couples, friends and families, a private villa makes for a magnificent base in which to explore the region’s tropical attractions. The exclusive range of Villas and Holiday Homes on our website have been handpicked based on location and quality. Many are architecturally designed and finished to the highest possible standards, with designer furnishings throughout and all the modern day comforts. Most villas and holiday homes have a minimum of at least 3 nights stay.